Washington DC, a city fueled by corruption and intrigue, offers vampires a treasure beyond all measure: power on a glabal scale. In this place where even mortals have undreamt of might, the undead strive for influence that their peers can only envy. The best try, but only the gifted succeed. 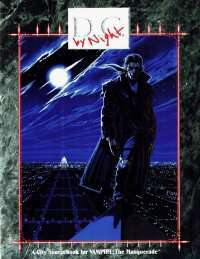 A city sourcebook for Vampire: the Masquerade.